Comparison shopping engines (CSE) or comparison shopping websites are avenues for accumulating information on products, including prices, from various eCommerce companies. A single page then displays this information based on the search information entered by a potential buyer. Buyers can compare details such as shipping options, service, and price from various eCommerce retailers. They can then select the one that best meets their needs. Utilizing comparison shopping engines allows you to put products and services you are offering directly in front of buyers searching for those items. Potential customers are not using comparison shopping websites to window-shop. They have most likely already made up their minds as to what they want to purchase; they are now looking for the best deal. This creates an ideal audience for promoting your eCommerce store. Visitors to comparison shopping websites are qualified leads, as they have already decided to search out the product they are actively looking up. This results in a high probability they will complete a purchase during their visit. Comparison shopping engines have mastered SEO and are generally near the top of Google rankings. By utilizing these websites, you benefit from their high visibility and placement. Many comparison shopping websites also have loyal followers, which introduces you to a broader audience. It’s important to understand what comparison shopping engines are so you can decide if using them will benefit your business model. For instance, they will most likely force you to lower your prices. There are three critical factors you need to understand before deciding to use comparison shopping engines. Becoming the “Low Price Leader:” Price is a key factor for potential buyers when browsing comparison shopping websites. If you are continuously lowering prices for your products while other eCommerce retailers are doing the same, you might end up restricting your overall cash flow. Not standing out: You might experience difficulties standing out among your competitors, as you are more likely to be offering similar products at similar pricing. No customer loyalty: Buyers looking for bargains are the primary types of consumers using comparison shopping websites. This means if you are not offering the lowest price, you will most likely lose that customer. Unique-to-you items: If you sell a product that no one else currently does, you will be able to include it on your product feed without having to lower its price. Alternating products: By selecting a few products that you feel comfortable lowering prices on and then rotating these items frequently, you can attract new customers that will hopefully remain loyal to you. While there are benefits to using comparison shopping engines, they are not good fits for everyone. Certain components of comparison shopping campaigns might create difficulties for eCommerce businesses that don’t have technically fluent individuals or departments. Having fewer than 100 products available on comparison shopping engines will make it challenging for an eCommerce company to gain traction within the platform, as well. What is your technical ability? How easily are you able to create new shopping or data feeds and export them? Do you have a large number of products? Best practice recommends you have a minimum of 500 products; you should also take into consideration your average order value (AOV). Are you pricing your products correctly? Buyers searching comparison shopping websites are getting increasingly savvy at comparing competing products and locating the best deal; offering products priced too high or products that buyers are not looking for will create a barrier to sales. Once you understand what comparison shopping engines are, you will need to select the ones that will work best for your eCommerce business. They are not all the same, and some will produce a better ROI (return on investment) than others for your eCommerce business. If several of your competitors are using a certain comparison shopping engine, then the targeted traffic you desire will already be in place, but the competition for the sale will be high. If there are no competitors on a comparison shopping website, the traffic might be lower, but you are more likely to get potential buyers. The more comfortable you become working with comparison shopping engines, the more you will develop and fine-tune the skills required to price and market your products effectively. Finally, the same online shopper might click your listing on a comparison shopping website several times before making a purchase. It is not unusual for a potential buyer to click on and look at a product one day before leaving and coming back another day to complete the purchase. Google Shopping is probably the most well-known and largest comparison shopping website. When you submit a product to Google Shopping, it is also displayed via standard search results for Google and integrates with Adwords, Google’s pay-per-click platform. NexTag was introduced in 1999, and today millions of potential buyers visit the site each month. eCommerce businesses can list event tickets, products, travel bookings, and real estate. In addition to listing products on PriceGrabber, you can utilize Market Report, the company’s market research tool, to track purchases and monitor products’ pricing trends. When listing products with the PriceGrabber comparison shopping engine, you receive the bonus of being listed on Yahoo Shopping, as well. 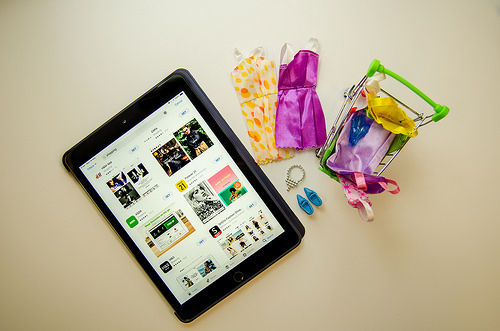 A member of the eBay family, Shopping.com is another active comparison shopping engine eCommerce companies can use to get their products in front of potential customers. With a pedigree going back to 1996 and millions of visitors each month, Shopzilla is a leader among comparison shopping engines. Competition on this comparison shopping website is fierce due to the high volume and wide selection of products listed. Another leader among comparison shopping engines, Become allows potential buyers to compare pricing, read and write product reviews, and search for online deals. Known initially as Bing Shopping until being replaced by Bing Product Search in 2013, Bing Shopping Campaigns occur directly within the search engine Bing. Microsoft’s advertising suite also offers Bing Shopping Campaigns. Millions of potential buyers visit Pronto monthly to view the tens of millions of products listed in retail verticals from numerous eCommerce retailers. BizRate offers the unique service of allowing potential buyers to set price alerts for one or more products they might be interested in following. While not technically a comparison shopping engine, Amazon works in a similar way. By registering for Amazon Product Ads, you can upload products either via FTP or manually. Amazon then creates ads for the products based on the information you provide in the product file. Once you establish a budget, the ads featuring your products will go live and you will pay per click. How Much do Comparison Shopping Engines Cost? Generally, comparison shopping engines charge eCommerce retailers either per action or per click-through. You will need to complete research to determine which pricing model works best for your specific eCommerce business. Pay-Per-Action: You will pay a certain percentage from any sale that results from a click-through on the comparison shopping website. With this model, you only pay when you sell a product as a direct result of it being on the comparison shopping website. Pay-Per-Click: You pay a bid or set fee any time a potential buyer clicks on one of your product links. This is regardless of whether that person completes a purchase. Understanding how to get products listed on price comparison websites is an important first step. Comparison shopping engines generally require eCommerce companies to submit a CSV (Comma-Separated Value) product feed that is formatted to meet their specific guidelines. This feed should contain product title, price, description, and image location. You will need to update this feed often for the information to remain current. Comparison shopping engines use scripts to interpret and comprehend the submitted data feed and display the information on appropriate result pages. This Magento 2 extension allows you to feature and sell products on various comparison shopping engines, including Google, Bing, Shopping, and Amazon. Generate custom files that include necessary information about all your online store products. These files are then uploaded to comparison shopping websites. This will improve your site’s search ranking and increase your eCommerce products’ exposure. Easily generate feeds either manually or automatically with this extension in just a few minutes. Module setting flexibility allows you to customize product feeds based on the unique requirements of various comparison shopping websites. Feed templates decrease the time to create data feeds, while the autogeneration setting keeps the feeds up-to-date. This extension provides full integration of the Magento 2 back end with eBay, Amazon, Google Shopping, Walmart, Jet, Facebook, Etsy, Houzz, Newegg, Sears, Rakuten, PriceGrabber, Wayfair, Shopzilla, Overstock, and other comparison shopping engines. ChannelSale synchronizes inventory, existing product listing, orders, and shipping tracking from the back end of your Magento eCommerce store without any downtime. This ultimate feed manager integrates directly into the back end of your Magento store, allowing you to easily export your products to multiple comparison shopping engines, marketplaces, affiliate networks, and selling channels. Data feed templates are available, kept up-to-date, and distributed online by an extension developer. Connect your Magento eCommerce store with your Google Merchant account so you can easily submit products to Google Shopping and encourage new visits and sales from the Google network, specifically when submitting products to Google Shopping. New data feeds are generated each day to ensure products in your Google Merchant account are always up-to-date. Understanding what comparison shopping engines are, determining which ones best fit your eCommerce business, and learning how to get products listed on price comparison websites are important components of being an eCommerce business owner. IronPlane is a full-service company with 30-plus developers experienced in Magento integrations, design, and back-end processes. We assist with upgrades, migrations, new site builds, ongoing maintenance and support, and Magento-optimized website hosting. Contact IronPlane today to talk with one of our solutions specialists. A Meet Magento Association member, we have more than seven years of experience with eCommerce implementation with B2C and B2B companies.